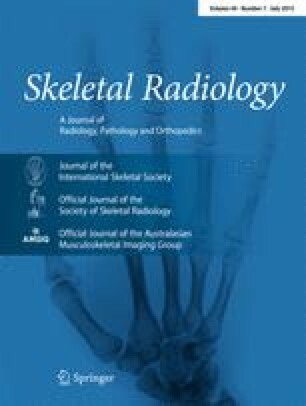 To assess the clinical success and costs of computed tomography (CT)-guided radiofrequency ablation (RFA) of osteoblastoma (OB) and spinal osteoid osteoma (OO). Nineteen patients with OB and eight patients with spinal OO were treated with CT-guided RFA. The OBs were localized in the extremities (n = 10), the vertebral column (n = 2), and (juxta-)articular (n = 7). Dedicated procedural techniques included three-dimensional CT-guided access planning in all cases, overlapping RFA needle positions (median, two positions; range, 1–6 RF-electrode positions) within the OB nidus (multiple ablation technique, n = 15), and thermal protection in case of adjacent neural structure in four spinal OO. The data of eight operated OB and ten operated spinal OO patients were used for comparison. Long-term success was assessed by clinical examination and using a questionnaire sent to all operated and RFA-treated patients including visual analogue scales (VAS) regarding the effect of RFA on severity of pain and limitations of daily activities (0–10, with 0 = no pain/limitation up to 10 = maximum or most imaginable pain/limitation). All patients had a clear and persistent pain reduction until the end of follow-up. The mean VAS score for all spinal OO patients and all OB patients treated either with RFA or with surgical excision significantly decreased for severity of pain at night, severity of pain during the day, and both for limitations of daily and of sports activities. RFA is an efficient method for treating OB and spinal OO and should be regarded as the first-line therapy after interdisciplinary individual case discussion. The online version of this article (doi: 10.1007/s00256-015-2139-z) contains supplementary material, which is available to authorized users. The authors very much thank Professor Volker Ewerbeck, Heidelberg, for supporting this work and his fruitful comments. Also, we thank Dr. Wolfram Stiller, Heidelberg, for his help with calculating the radiation exposure of the CT-guided radiofrequency ablation.